Jonathan Coury’s practice is concentrated in numerous areas of business transactions and strategies, with a focus on representing emerging growth companies and entrepreneurial clients. Jonathan presently represents and advises emerging companies on legal strategies for growth and various legal aspects relating to their businesses, including raising capital, creating effective capital structures, and building strategic relationships. Jonathan’s emerging company practice includes representing entrepreneurs and companies in the sale, acquisition, merger, divestiture, and spin-off of their businesses. Jonathan’s general transactional practice also includes representing clients on mergers and acquisitions, real estate, commercial transactions, corporate law, venture capital, securities, franchising/distributorship, and aircraft finance. Jonathan’s real estate practice focuses on representing clients on the acquisition, disposition, sale, leasing, and financing of commercial properties, multifamily buildings, and other interests in real estate. Jonathan has previously represented large publicly held companies, international banks, and regional airlines. Jonathan is currently an adjunct professor of law and serves as counsel-in-residence for the Innovation Advancement Program at the Sandra Day O’Connor College of Law, a program that pairs inventors, technology entrepreneurs, tech transfer professionals, and emerging technology companies with students studying law, business, engineering, and the sciences. Additionally, Jonathan is a frequent guest lecturer at the Sandra Day O’Connor College of Law and the W.P. Carey School of Business at Arizona State University. Jonathan is a past Chair of the Invest Southwest Capital Conference (2012) and currently is a member of the Invest Southwest Board of Directors. Jonathan is an active member of numerous entities involving capital formation and entrepreneurism and sits on the boards of a number of non-profit entities based in Phoenix, Arizona. 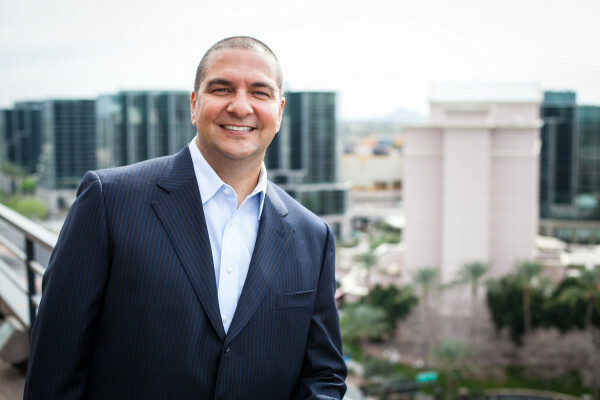 Jonathan has a sincere interest in promoting capital formation and the growth of companies in the local marketplace, as he is a native Phoenician whose family has lived in and has been involved in small businesses in the greater Phoenix market since the early 1900s.